I was a bit bored today and browsed through my own blog. If you are blogging since years, this is something that I would suggest you to do, because it’s a journey through time and you might be surprised what you find on your own blog. I spotted a couple of images that I do really like and I got the idea to share them again. I found this post and liked the photo of my cat Shyna. The photo was taken at a time when I was still taking pictures with a point and shoot camera or with my smartphone. 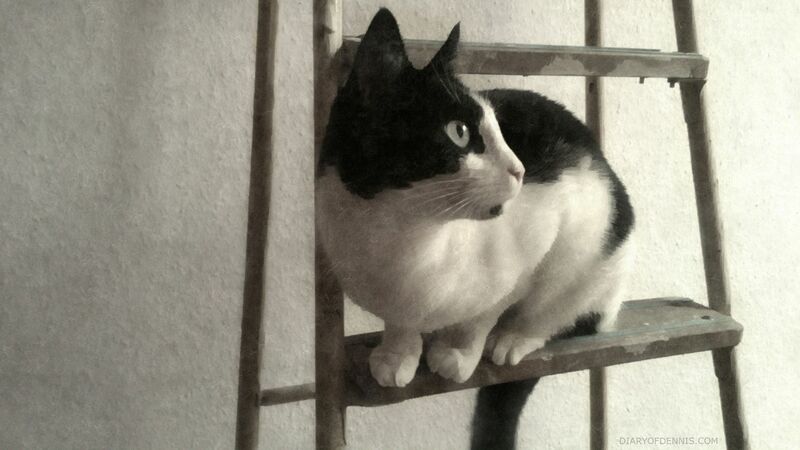 I like the composition of the photo, and of course that it’s a photo of my cat, and how I applied filters with Photoshop. I won’t do this too often, but I will at times share some of my photos from the past again and I call this series “My pictures from the past”. The easier way would be to reblog my own content, but from the SEO perspective I dislike this idea as it creates duplicated content as the text content would be to 100% the same, and this is bad practice and would hurt my website. If I share old content, I will rather write a new post for it. I am going to share another photo of my cat in the next post, it’s an old photo from the blog too, but then I will go over to posting new stuff again. Just so that you know what my “My pictures from the past” series is.